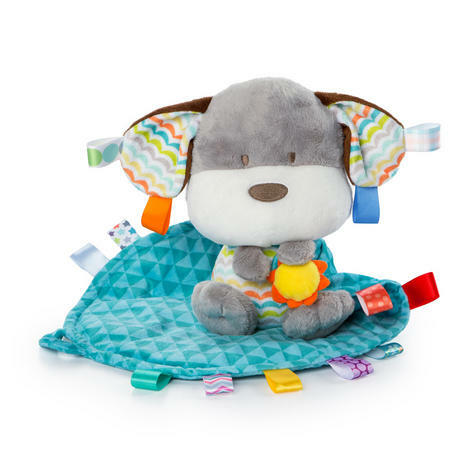 Fun Comes First!™ Taggies™ tags meet super soft fabrics for the ultimate soothing experience of the Sweet Swaddle Pal™ from Bright Starts™ Taggies™. 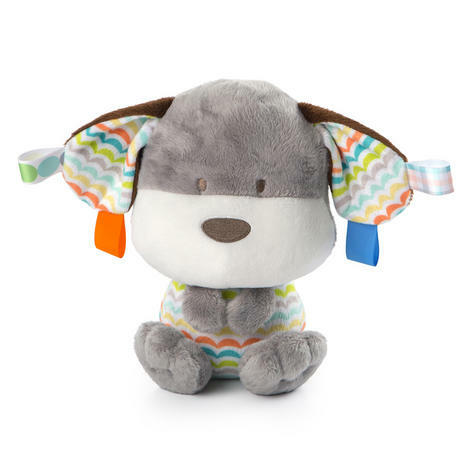 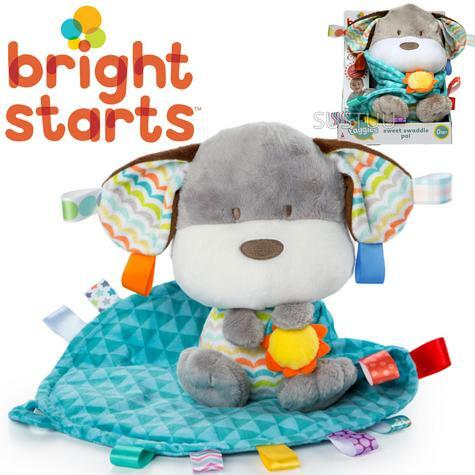 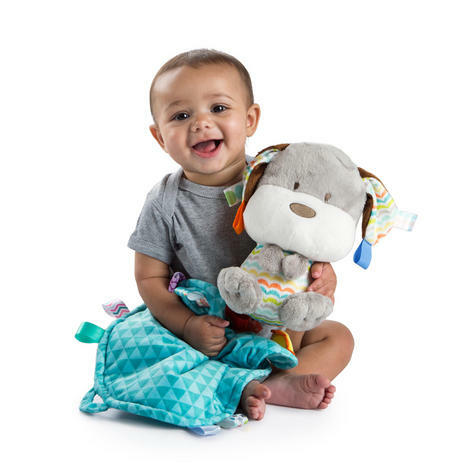 Sure to be baby’s favourite cuddle buddy, the adorable plush puppy wraps up snugly in his soft and soothing blanket! 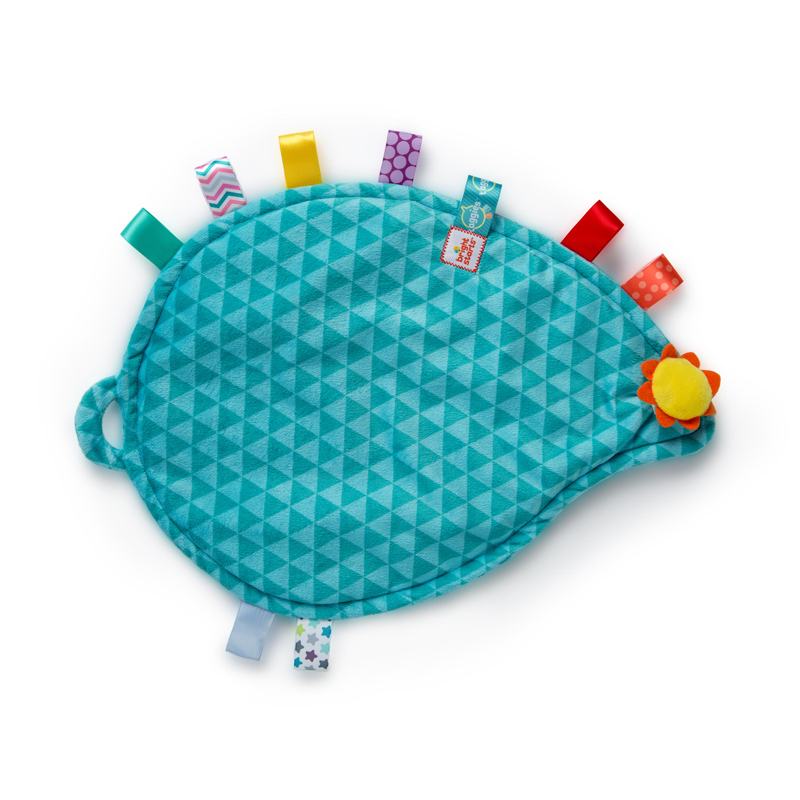 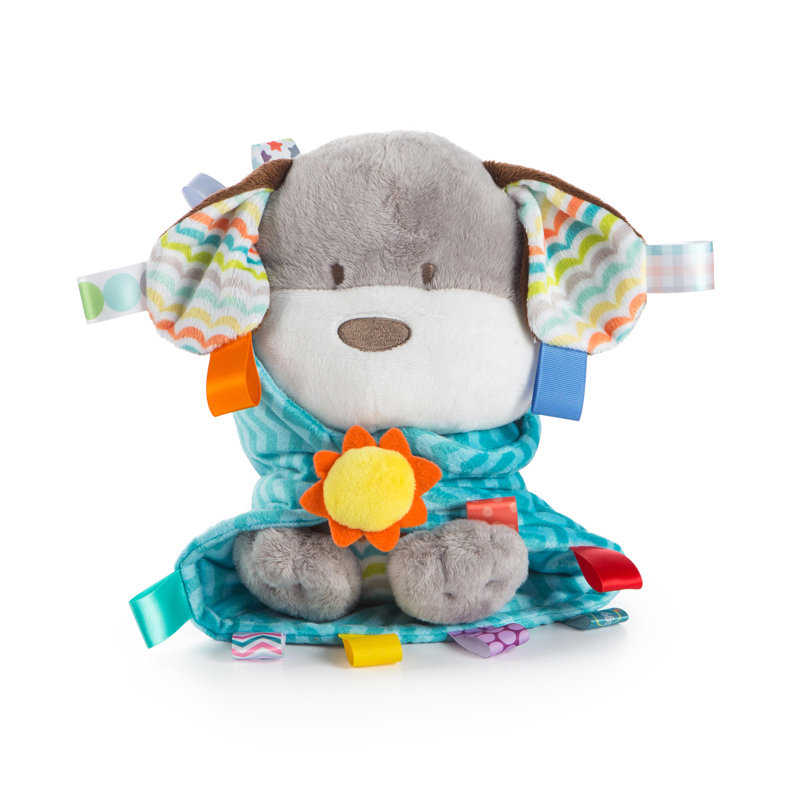 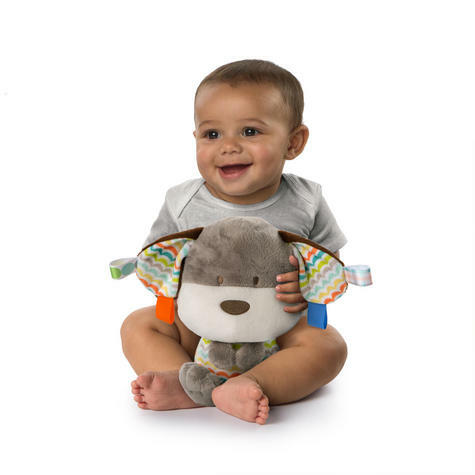 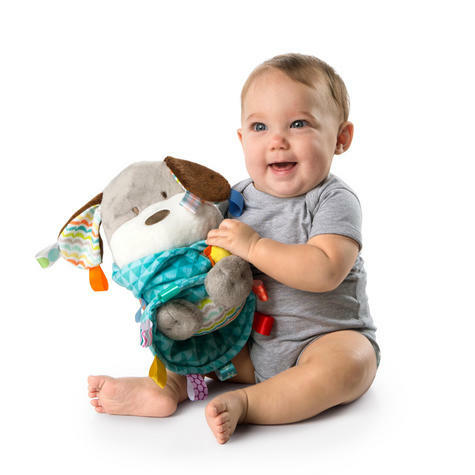 The colourful stuffed animal features the irresistible, tactile Taggies™ satin tags that babies love to rub. Recommended for ages newborn and up.